The Middle School FFA has once again accepted the Trex Bag Recycling Challenge. Last year we collected plastic in truckloads!! Literally, 6,521 pounds of plastic were saved from the landfill and successfully recycled by our students, staff, and community members which was an increase of 3,117 pounds from the year before!! We were the TOP school for collections in the state of Pennsylvania that was recognized for this endeavor and this year, we want to collect even more!! Let’s try for 7,000 pounds! In case you didn’t know, all types of plastic film (bag type material) are recyclable and are collected (free to you) by many of our local grocery stores and department stores. For the challenge period, WE will take your plastic, weigh it, and deliver it to those participating stores. Our totals will then be compared to other schools based on student enrollment. Our goal is to collect as many pounds of clean, dry, plastic film as we possibly can in a few months’ time frame. We are asking for EVERYONE to please help us in this challenge. Tell your friends, neighbors, families, etc., it is a great way to help our earth and help CWMS at the same time. CWMS staff, all you need to do is deliver them to school. Recycling containers will be located in the main lobby, gym lobby, and between 7/8 science classrooms. Bags may also be delivered directly to Mrs. Meredith’s classroom, F-3. Community members, friends, folks from our other buildings, smaller amounts can be collected in our MS Office, while larger amounts can be dropped off outside door #27. If you have a truckload, please contact t_meredith@conradweiser.org to schedule a drop off. If you are up to helping us in this challenge, and of course love watching our numbers grow (and seeing our crazy plastic bag photos), then start collecting. Be vigilant, look at the materials you use, make a dedicated recycling can at home, and feel confident about caring for our Earth! Ms. Schade has Pennsylvania teaching certifications in Biology, Health and Physical Education. She teaches Anatomy and Physiology I and II which are dual enrollment courses with the Reading Area Community College. Additionally, she teaches a Biomedical Science Research course encouraging independent and innovative science research. She is a faculty advisor of the Conrad Weiser Science Research Initiative. Mr. Siefert became an instructor in the Agriculture Department in 2009. He earned a Bachelor of Science from the Pennsylvania State University in Agricultural and Extension Education. In 2016, he earned a Master of Science from the University of Maryland in Chemical and Life Sciences. Mr. Siefert has Pennsylvania teaching certifications in Agriculture Science, Biology, General Science, and Environmental Science. He splits his teaching responsibilities between the Agriculture Department and Science Department, teaching Biology, Introduction to Agricultural Science, Biotechnology, Microbiology, and oversees the Landscape Laboratory Intern Program. In addition, Mr. Siefert is also co-advisor of the Conrad Weiser FFA chapter and faculty advisor of the Conrad Weiser Science Research Initiative. The Agricultural Science curriculum is designed to expose students to the diversity of the agricultural industry. The curriculum includes both traditional courses as well as independent study courses that allow for individualized exploration into topics of interest. For more detailed information about graduation requirements and course offerings, view the High School Program of Studies. The Biomedical Science curriculum is designed to expose students to laboratory research skills and scientific content relevant for a student pursuing a career in the medical or biomedical research fields. The curriculum includes both traditional courses as well as independent study courses that allow for individualized exploration into topics of interest. For more detailed information about graduation requirements and course offerings, view the High School Program of Studies. Students in the Agricultural and Biomedical Sciences are constantly working on projects, participating in competitions, and visiting new places. Check out our social media sites to learn about their most recent activities. The Landscape Laboratory is a series of ornamental gardens outside of the Ag. Department bordering Big Spring Road. The purpose of the Landscape Laboratory is to educate students in the Ag. Department and community about horticulture techniques, ornamental plants, botany and also to provide a place to enjoy the natural world. 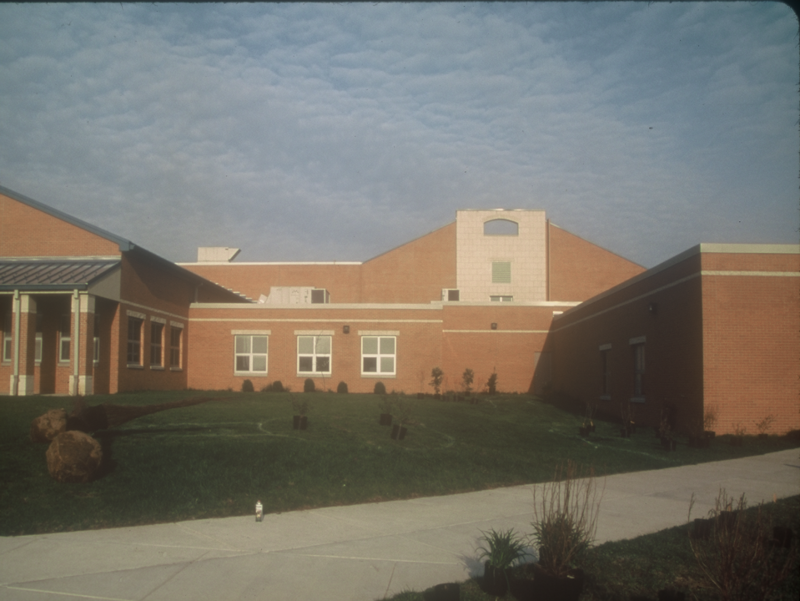 The first meeting of the Landscape Taskforce occurred in October 2000, when the high school building was only two months old. The high school agricultural science teacher at the time, Mr. Stephen Miller, had the idea to plant some perennial flower beds around the department. The entire area surrounding the school was originally grass. Several interested students attended the first meeting which was held with Dr. Richard Bitner serving as a consultant. Mr. Miller had the initial intent to beautify the agriculture department with flowers. After an initial meeting, it was determined that flower beds were not the desired direction for the project. Instead, the team would create an arboretum. Dr. Bitner advised that if designed and managed correctly, the arboretum could be an educational experience for the school and community. Phase 1 of the Landscape Laboratory included two River Birch installations and a small ornamental garden located near the entrance to the Ag. Department. Initially, emphasis of plants was placed on quality, not quantity. More importantly, the plants were selected primarily for fall/winter/spring seasonal interest. This decision ensured that students could enjoy the gardens while school was in session. Plant labels were designed and purchased and plants were properly labeled to begin incorporating the educational component. The Landscape Laboratory has expanded and changed drastically since 2000. Additional gardens have been constructed, adding to the educational value. Structures, pathways, and artwork have also appeared in the gardens to improve accessibility and create spaces for visitors to enjoy. Since it's inception in 2000, the Landscape has been planned, installed, and maintained by student interns. Interns are selected during an application process each spring. Learning horticulture techniques and working throughout the entire year, interns receive a small stipend. The Landscape Laboratory Intern Program is funded by community members and local businesses. Without community support for these interns, maintenance of the Landscape Laboratory would be impossible. Those interested in donating to the intern program can contact John Siefert at j_siefert@conradweiser.org. The following community members and businesses have graciously donated supplies and/or funds in excessive of $300 since the inception of the gardens in 2000. The Landscape Laboratory would not exist without their support. ***One intern will be selected as “Head Intern”. This position will require additional supervisory duties and serve as a liaison between faculty and students. The 2019 Native Plant Sale will be held on Sunday April 28th from 8:00am to 2:00pm in front of the High School Agriculture Department. Profits help to fund the Intern program and maintain the Landscape Laboratory at the High School. All plants are provided by Keystone Wildflowers, a native plant nursery in Robesonia, PA owned and operated by Bill Hoffman. The Science Research Institute was established to serve as a framework for integrating research-based learning into the curriculum at Conrad Weiser Area School District. Over time, we hope that the initiative will serve as a model that can be implemented throughout the public schools in the United States. The SRI is meant to serve as an educational philosophy rather than a physical program. The initiative stresses the importance of providing students with skills-based and authentic learning experiences that improve students’ laboratory and research skills as well as literacy and communication. Interested in donating to help support science research at Conrad Weiser? Complete the form below and SRI staff will contact you shortly!